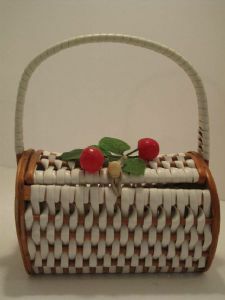 1950's white plaited cherry basket vintage bag. 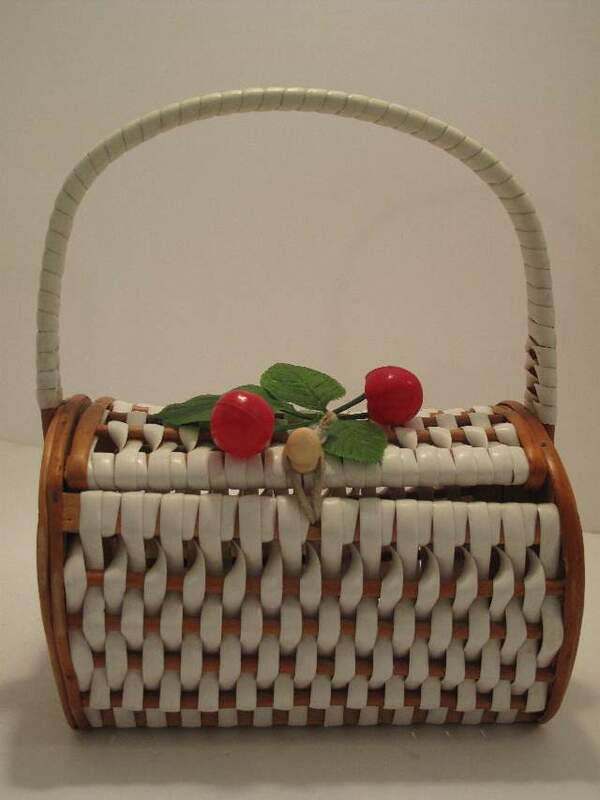 Wooden formed barrel shaped bag with slats of wooden dowling, plaited with white plastic strips. The bag ends are solid plywood. 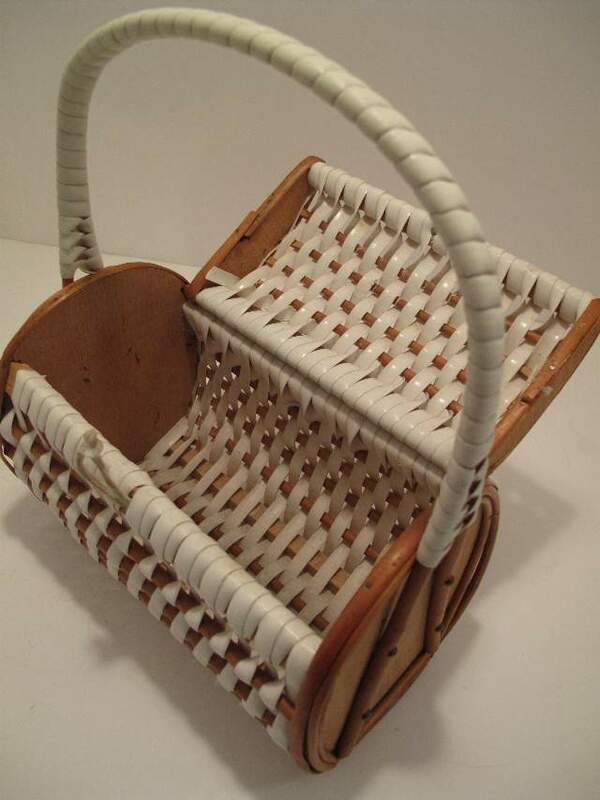 The fixed wooden handles is bound in white plastic. 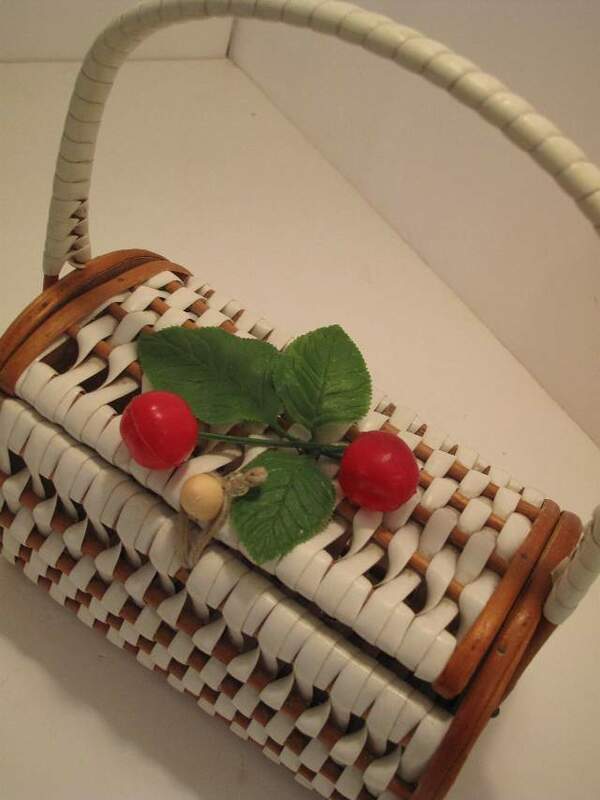 The lid opens on a wooden hinge and fastens with a plastic bobble and loop. 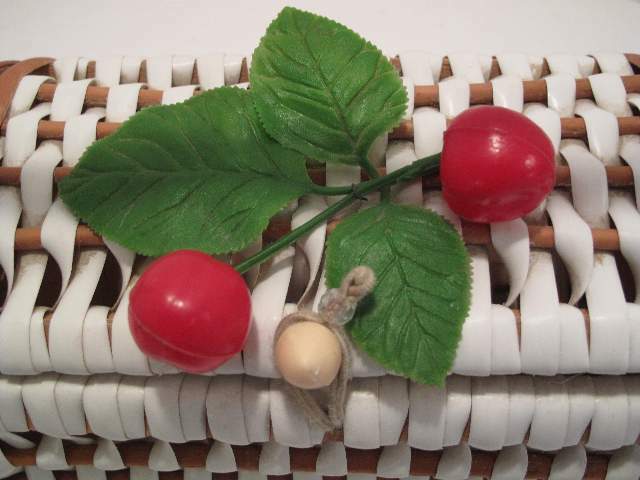 The lid is decorated with red plastic cherries and green leaves. Perfect for a summer picnic and a 50's gingham frock.